In spring, a so-called Mirco Amusement Park will open its doors in HafenCity of Hamburg. With the immersive harbor experience "Discovery Dock" the visitor experiences the Port of Hamburg up close and from another point of view. It shows visitors unknown perspectives of the Port of Hamburg using state-of-the-art VR technologies, projections and real-time data. The "Discovery Dock" is aimed at Hamburg citizens as well as the steadily growing target group of national and international tourists. In the spring of 2019, the fee-based adventure world will be opened in the immediate vicinity of the Elbphilharmonie. The operator of the Discovery Dock is DuMont Media GmbH, an owned subsidiary of DuMont's Morgenpost Verlag GmbH. The investment is more than 3.5 million euros. "The DNA of the MOPO is Hamburg, as well as the Port of Hamburg," Susan Molzow, Managing Director of Hamburger Morgenpost Medien, DuMont, says. "With 'Discovery Dock' we are expanding our Hamburg know-how into non-media business areas. In addition to our core business, we are investing in the growing market of tourism and edutainment, thereby reaching new target groups. " The Port of Hamburg is the only cosmopolitan seaport that is a magnet for visitors. A look behind the scenes of the port remains unseen to the visitors so far. On gray Hamburg rainy days not every visitor understands the love of the Hamburg citizens to their port. With "Discovery Dock" DuMont offers an unseen look into the world of the Port of Hamburg as a weather-independent alternative and modern content addition. 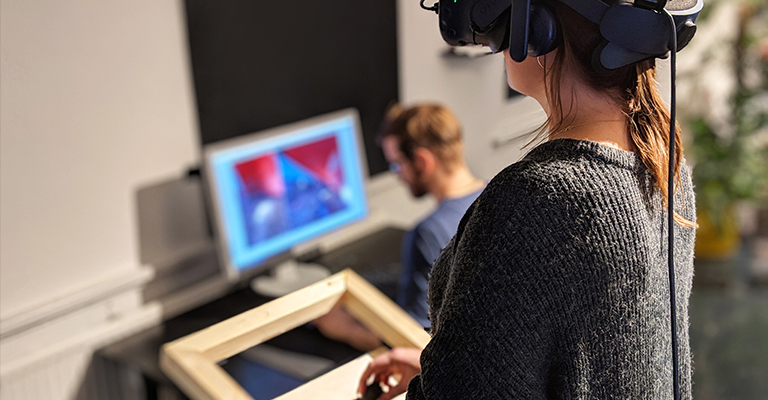 "Discovery Dock" communicates in a playful way and with the latest virtual reality technology on a 40-minute adventure trail the multifaceted nature of the Port of Hamburg. Visitors get to know the working world in the port in authentic portraits of employees of the port, experience the exciting life of the Elbe interactively, see the ship movements using real-time data, finally become a crane operator of a container bridge and stand virtually in the largest dock in Europe next to a container ship. In addition to this unique present-day experiences, there will be an exciting view to the future of the port. Cooperation partners of the "Discovery Dock" are AIDA Cruises, the Hamburg Port Authority (HPA) as well as the Hamburger Hafen und Logistik AG (HHLA). 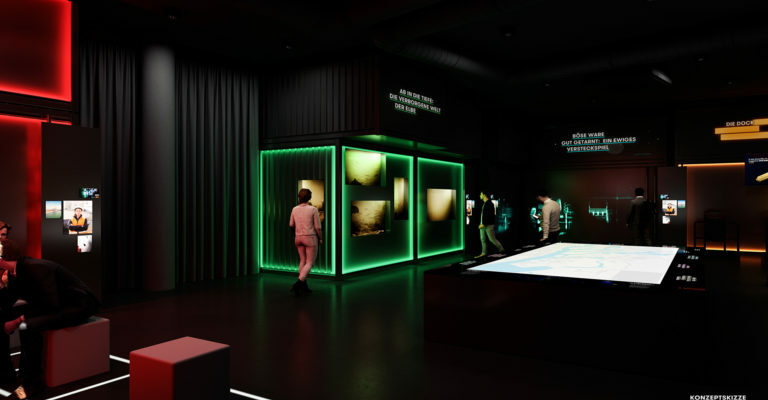 In addition, the experience will be supported by Blohm + Voss, the University of Hamburg and the Hamburg Department of the Environment and Energy. Overall, the project has been managed since the start as a design thinking process until its launch by Antje Dittrich. The award-winning agency Demodern based also in Hamburg is lead agency. "'Micro Amusement Parks' are spatial installations that primarily aim at the entertainment of the guests, evoke enthusiasm and, moreover, playfully communicate and effectively bring educational content to life. And that's exactly what we want to achieve with the 'Discovery Dock': new, playful and intriguing interactions make the on-site experience an unforgettable event, "said Alexander El-Meligi, CEO and Creative Director of Demodern.